This Saturday, 13th September is National Twin Day. 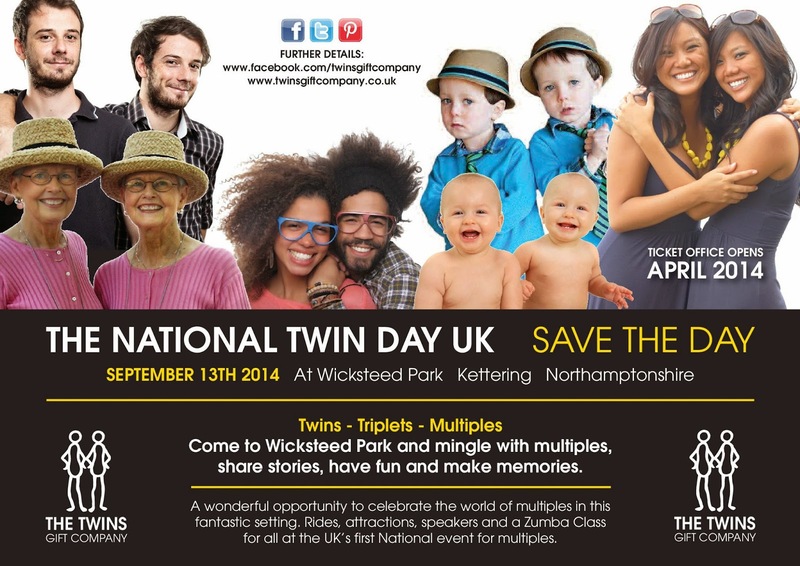 And if you're a parent of, or one of, multiples, and you're near Wicksteed Park, Kettering in Northamptonshire it would well be worth popping along for the National Twin Day UK Party. 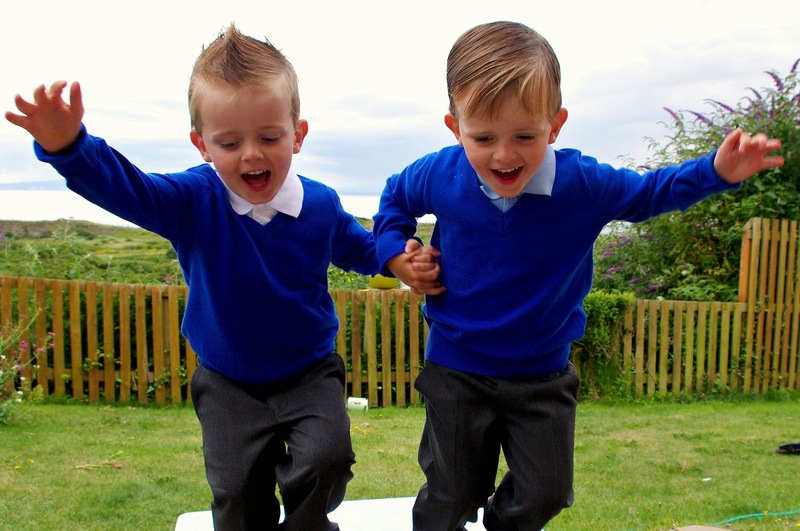 As a mum of multiples, I know (up to the age of 3 and a half) the positives and challenges. From sleep deprivation of the early days. The overwhelming joy of realising (and having co-operation for) tandem feeding at 10 weeks. The relief of co-ordinated sleeping patterns. The nightmare of co-ordinated development. That mere blip, the trauma of toilet training. And Tom & Seb now have their education journey ahead of them. Getting together with other multiples, talking to other parents of multiples- knowing you're neither alone nor unique. And I imagine it would be quite the sight for any visitors, the railways and rides full of children- and you can't quite put your finger on what the common factor is (although in some cases you're seeing double!). And so, Wicksteed Park won't know what's hit it. The Twins Gift Company have combined fun with learning at this unique day open to everyone connected to twins and more. Knowledgeable experts from Tamba, The Department of Twin Research and remarkable the twins from Coppafeel will deliver a day of interactive seminars for everyone to enjoy. The Townsend Twins will provide entertainment in the form of a Multiples Zumba Class! Tara Cresswell author of A Sweet Adventure a book for sharing will also share her experience of being a Mother of Twins. The event will end with A Grand Photograph Finale. So yes, if you can get along, and share being a part of this awesome Multiples Club.